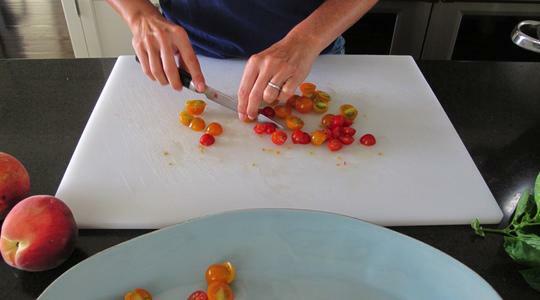 Rinse the tomatoes and cut them in half. Add them to a large platter and arrange as haphazardly as you like. 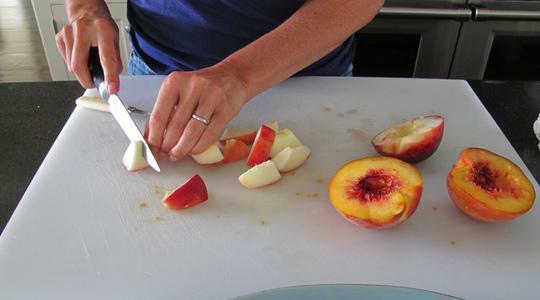 Cut the peaches in half, twist, and remove the pit. Cut them into bite-size pieces and add to the platter. 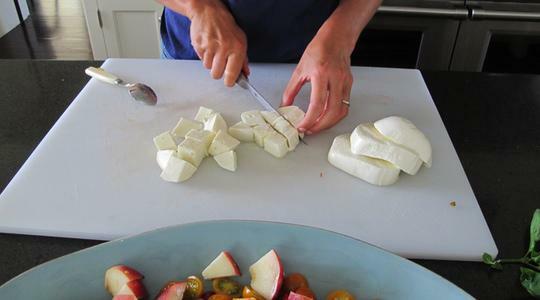 Cut up the mozzarella and add as well. 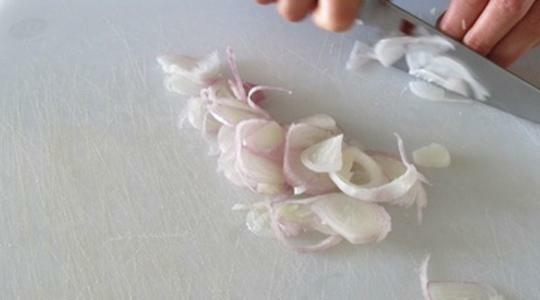 Peel and slice the shallots into rings. 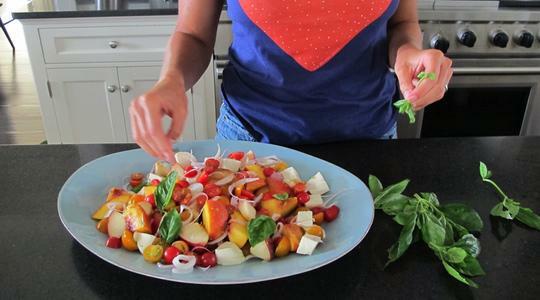 Separate the rings as you scatter them over the salad. Scatter the basil leaves, too. Then drizzle with the oil and sprinkle with the salt and pepper (about 12 turns on pepper mill).